Some Dallas restaurants open with big fanfare. Maybe they have a well-known chef in the kitchen. Or they're taking over a timeworn location. Or they have a PR company pumping out releases announcing their arrival as if it were the Second Coming. But then there are the many other restaurants: The ones that open quietly, with less of a splash and more of a spatter. For this rendition of Where to Eat, we bring 10 newly opened restaurants that have snuck in under the radar. This fast-casual market at Hall Arts is a good solution for those who would dare to grumble about restaurants in the Dallas Arts District being too expensive. 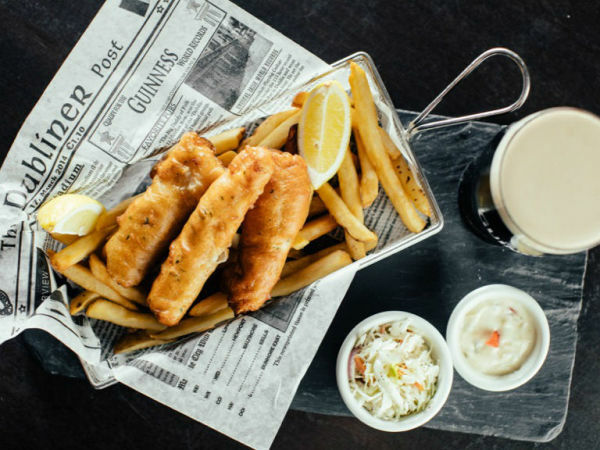 They serve a variety of hot and cold offerings daily at a walk-up dining counter with a market-style service. 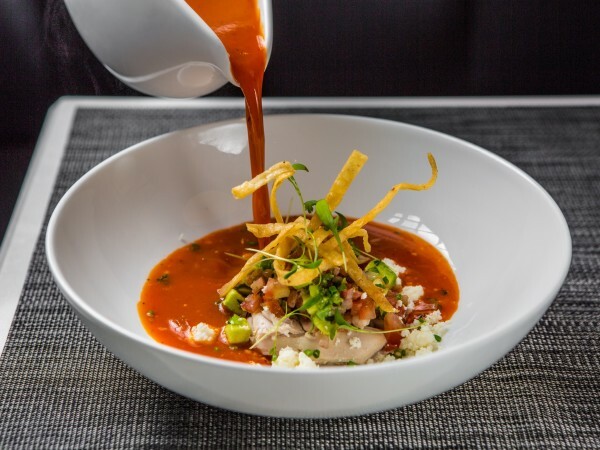 Signature dishes include sofrito-marinated salmon, shrimp scampi with linguine, pecan-smoked beef brisket, carne asada street tacos, and pad Thai chicken sauté. Specialty at this Asian fusion restaurant on 2010 N. Plano Rd. in Richardson is katsu — the deep-fried cutlet of Japanese origin, which you can tell by the panko bread crumb coating. They have seven katsu options, from the traditional pork to one with chicken breast to one with shrimp. There are bento boxes with a fusion flair; dumplings; bibimbap, the homey Korean rice bowl; and a cool dish called korokke, consisting of mashed potato coated with panko and deep fried. New coffeehouse-beer pub from husband-and-wife beer nerds Chad and Nellie Montgomery raises the bar on coffee and beer, whether it's espresso drinks and pour-overs, or 30 taps featuring 25 beers and 5 nonalcoholic drinks including cold-brew coffee. Food includes panini-press sandwiches, pastries, and desserts. Their tasteful, pristine interior with pale woods fits right in at The Hill, the eco-friendly center at Walnut Hill Lane and 75 where they reside. Halfway between a Cajun restaurant and a sandwich joint, this new spot across from the Walmart at 360 Stonebrook Pkwy. in Frisco serves New Orleans fare such as po'boys, Creole chicken, and sausage gumbo, along with burgers and sandwiches. A roast beef sandwich, with the meat shaved thin, is more French dip than po'boy. But the curiosity is the "debris" — chopped ends that don't make it into a regular sandwich and become a "topping" on dishes such as French fries topped with debris and gravy. Yelpers are hailing this new restaurant at The Star in Frisco as an exquisite place to get some of the best Korean food around. Jihwaja has staples such as bulgogi, the grilled beef dish; kalbi, aka Korean short ribs; bibimbop, the hearty rice bowl with toppings; spicy soups; dumplings; and more. The banchan (side dishes) are beautifully presented, and the atmosphere is seriously fine-dining, which seems to help elevate the experience. It definitely brings in customers who are new to Korean food, with just a few complaints from veterans who'd prefer to trade out the swanky atmosphere for a smaller check. Restaurant in a new building on McKinney Avenue just north of Knox Street does a "modern spin" on Thai food. They start with family recipes and a desire to bring new dishes to Dallas. There are curries, stir-fry dishes, fried rice, and noodles. Of course they do staples like chicken satay, tom kha soup, and pad Thai. But they also do one-of-a-kind signatures such as Kra Tong Tong, a combination of corn, carrot, pea, chicken, and shrimp served in a crispy golden cup; and delectable Thai chicken wings, served with a traditional Thai sauce or their special Thai take on buffalo sauce. Small friendly concept from Jacksonville, Florida, likes the personal touch and bristles against calling itself a chain, but they have 29 locations across the Southeast. Their main thing is flaky buttermilk biscuits, with a large portion of their menu dedicated to chicken biscuit sandwiches, such as fried chicken breast, bacon, and cheddar cheese, or fried chicken with goat cheese and pepper jelly. They also do waffles, grits, a build-your-own salad, oatmeal, home-fries, sweet potato fries, and fried green tomatoes. Latest concept from Apheleia Restaurant Group (Oak Dallas, Pakpao Thai, El Bolero, Royale Burgers) is two places in one, with a restaurant on the bottom floor and a separate upstairs. The globally inspired menu boasts some cool culinary inventions, at an unexpectedly affordable price. The signature dish is duck wings with a Chinese spicy sauce. They're also doing avocado toasts, a fritter with crab and jack cheese, a hot dog in a bao bun, soft pretzels with a sirloin carpaccio, a French onion soup "dumpling," and a fried clam-and-kale po'boy. Newly opened Deep Ellum restaurant is on the front end of one of the biggest looming dining trends in DFW: handrolls, aka temaki, with sheets of seaweed wrapped in a cone or cylindrical shape, enclosing a filling of rice, fish, and vegetables — your basic sushi ingredients. Handrolls are easier because they're not as finicky to assemble as sushi. They also tend to be simpler in ingredients and construction than the overloaded, over-sauced sushi rolls found at many sushi spots. The chef is Jimmy Park, the former Nobu chef who helped open Pok the Raw Bar at the West Village. What the world needs now is maybe not another poke place. But Poke Sushi Roll, which opened in a former Subway in the shopping center at the corner of Greenville Avenue and Mockingbird Lane, stands out from the pack. 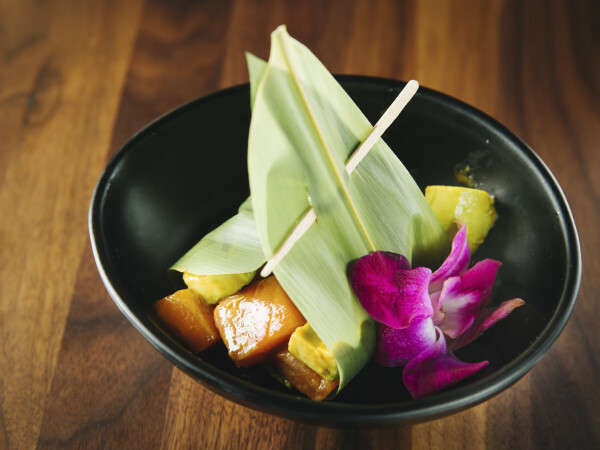 Owners are husband-and-wife Charlie and Yoko Kim, who bring dedication and attentiveness to what they do, whether it's a sparkling fresh poke bowl, ahi tower appetizer, or nigiri sushi, two pieces for $5. 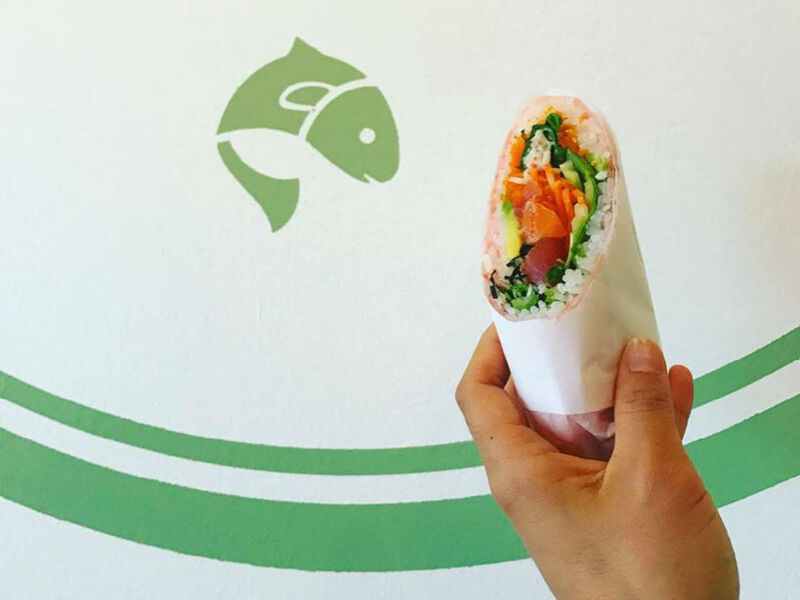 Their sushi burrito is not just thrown together but is instead carefully composed and wrapped in soybean paper. They offer unique sushi roll inventions and have a daily happy hour from 3-6 pm. It includes $5 rolls and mini teriyaki bowls with chicken or shrimp — very big with the nearby SMU crowd.